In late 2014 independent perfumer Dawn Spencer Hurwitz released her Brilliant Collection, a quartet of fragrances inspired by an exhibition of Cartier jewelry at the Denver Art Museum. I've been sampling the four Brilliant scents this week, and while I could go on and on about this interesting analogy between jewels and perfumes, and the language we use to describe both, I'll try to stay on topic by sharing my thoughts on my two favorites from the collection. This fragrance turns duskier as it lingers on the skin, and the styrax and resins in the base slowly peek out, but they're soft and delicate. Jacinthe de Sapphir pleases me the way a watercolor by John Singer Sargent might do — it layers subtle veils of olfactory "color" without ever turning muddy or garish. If you like Guerlain Chamade's balance of green notes with hyacinth, or you're a fan of later (but already vintage!) spring-florals like Cacharel Anaïs Anaïs, be sure to give this fragrance a try. Deco Diamonds (what a great name!) is a tribute to infamous style icon Wallis Simpson and her collection of Cartier diamonds — both the woman and the gems were "bold, impeccable, stylish, hard and brilliant." This composition includes notes of neroli, peach, galbanum and aldehydes; sambac jasmine, gardenia, tuberose and honeysuckle; oakmoss, sandalwood, civet and ambergris. It is described as "a study in contrasts" with a "vintage aspect." I'd go further than a vintage "aspect" for Deco Diamonds: it's like a vintage fragrance, period, minus the slight sourness or fustiness that often works its way into old bottles of perfume. It's sparkling yet refined, with an extravagant dose of aldehydes and a heart of cool white floral notes. I often don't enjoy wearing white florals, nor chypre fragrances, yet Deco Diamonds fit my wrist as easily as a bejeweled link bracelet. The florals here are satiny and sheer, and the chypre base is transparent, but still recognizably chypre, not the sweet synthetic patchouli that passes for "chypre" in many mainstream fragrances. On second thought, perhaps that sheerness and transparency do make Deco Diamonds more of a contemporary translation of a classical floral chypre, but in the best possible way. The real Simpson reportedly wore Jean Patou Joy and Estée Lauder Private Collection, as well as Crown Perfumery's Crown Bouquet, which was supposedly inspired by her. If she could time-travel to the present day, she'd probably enjoy Deco Diamonds too. This scent feels sophisticated and ageless (and who doesn't want to feel that way, too? ), and despite its formidable list of notes, it has an airy quality that keeps it from feeling overwhelming. If you like to wear crisp, aldehydic white florals like Estée Lauder White Linen, you may love Deco Diamonds too. Do you have a favorite from the Brilliant Collection, or any other favorite fragrance inspired by a jewel? Feel free to comment! Dawn Spencer Hurwitz Jacinthe de Sapphir and Deco Diamonds (as well as Rubis Rosé and Fumée d'Or) are available as 10 ml ($55) and 30 ml ($125) Eau de Parfum, as well as 1 dram ($48) and 10 ml ($142) Parfum; sample vials are also available. For purchasing information, see the listing for Dawn Spencer Hurwitz under Perfume Houses. Any mention of hyacinth, and I’m a goner. Oh man, I haven’t even gotten around to my Scent of Hope sample and here I go again! They both sound fantastic. Did you try the Eau de Parfum or the Parfum versions? I see what you did there, Holly! I tried the Eau de Parfum versions, and they had good staying power. Springtime florals don’t always grab me — there are some that I love (En Passant, a few Goutals) and some that feel too prim for me (Diptyque Jardin Clos). However, the galbanum and the styrax really set off the hyacinth beautifully in Jacinthe! I like that she offers both the Eau de Parfum and the Parfum as samples, but 18 bucks for a sample of the parfum is pretty spendy. I adore Crown Bouquet (a tender green floral with jasmine and muguet, plus hyacinth and a tiny, tiny touch of tuberose), but have always felt it contrasted with my idea of Wallis Simpson. The way you describe Crown Bouquet, it sounds a bit like Jacinthe de Sapphir! I agree — Mrs. Simpson needs something a little more intimidating, something glittering and poised. She was a tough customer by all accounts. I like Rubis Rosee, and it’s probably more “me” than either of these, but somehow I had less to say about it! Nice reviews, Jessica! They sound too flowery for me. I may try the Rubis Rose but will stay far away from Fumee d’ Or based on its ad copy of being a civet bomb. The Rubis Rosee has a nice peppery edge that make it un-flowery enough for you! Fumee d’Or is really interesting, just not my thing… very smoky and animalic. Laila, the tuberose is “silent” for me in Jacinthe — which is a relief for me, since I love smelling live tuberose flowers but can’t stand wearing tuberose perfumes. It must be buried deep in the composition here! Oh, good, thank you so much for your reply and your lovely reviews! Ssshhh … I was ignoring the tuberose. I can’t do it either. Tuberose is such a perfumista favorite, it’s nice to know i’m not the only one who ‘can’t do it.’. Thanks! And thank-you as well! It’s always nice to have company. I do enjoy smelling tuberose on friends… and once I passed Donatella Versace (!) in NYC and I was able to smell her formidable sillage of tuberose, which suited her well… but I just can’t handle it on my own skin! Excellent idea. I will add Bubblegum Chic by Heeley (an extrait de parfum that should only be dabbed, IMO). The notes are supposed to be jasmine, tuberose, white musc, and red fruit. I get an insanely happy strawberry-inflected gardenia that starts off with five minutes of a high-quality bubblegum note. Yes, I just said “high-quality bubblegum note.” Ha! Oh, this sounds like a fun Saturday fragrance! I like gardenia and jasmine sometimes, it’s just tuberose I avoid. All I can say is that a few times each year I drag out my Rand McNally and my day planner to see if I have enough time to drive to Boulder so I can just get over to her shop and sniff my heart out already! She always has such creative vision. I have a severe weakness for massive jewels. 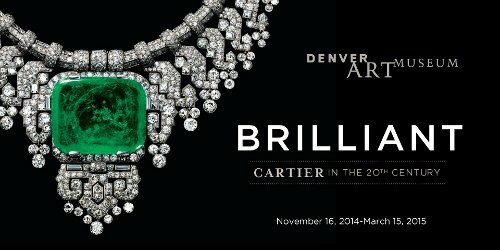 (I blame this on trips to the Carnegie Museum when I was a girl – they have a dazzling permanent gem and mineral exhibit.) These fragrances sound amazing, and I’ve still not got around to testing all the ones from the Egyptian exhibit! Cardamum and Khyphi is on my to buy list btw. I’d love to test Deco Diamonds. I know — I haven’t been anywhere near Colorado since I became a scentophile, but I’d love to visit the DSH boutique someday, too. I’m sure you would have, Jessica! They were one of those companies (like MH when they only had their original shop in Notting Hill) that were very generous with samples if you bought something – I came away with half a dozen vials, all of which I used, but can’t remember their names – will have to try the web for the company’s history.